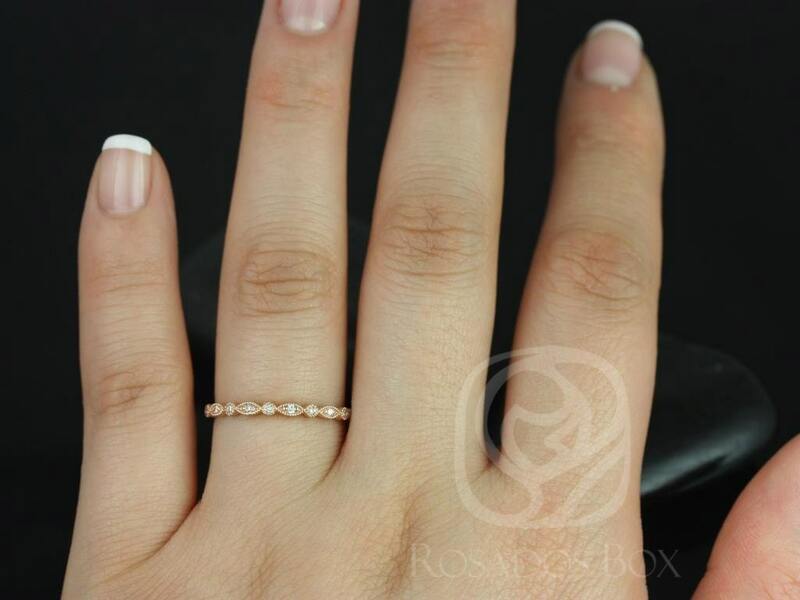 Metal available: 14kt rose gold (as shown),10kt /14kt white gold, 14kt/18kt yellow gold, 14kt rose gold and platinum. 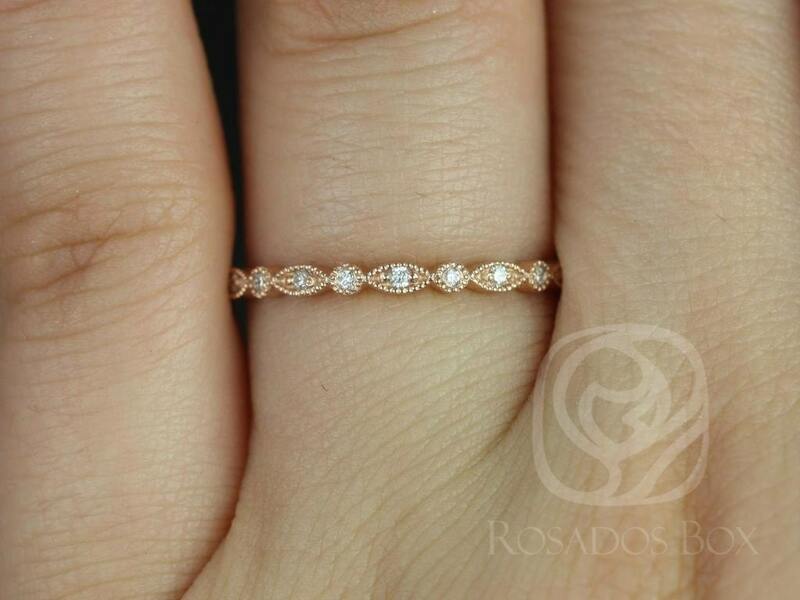 Such a beautiful, exquisitely-detailed ring. Paired well with my Sloane ring. Excellent craftsmanship, like always from this company. 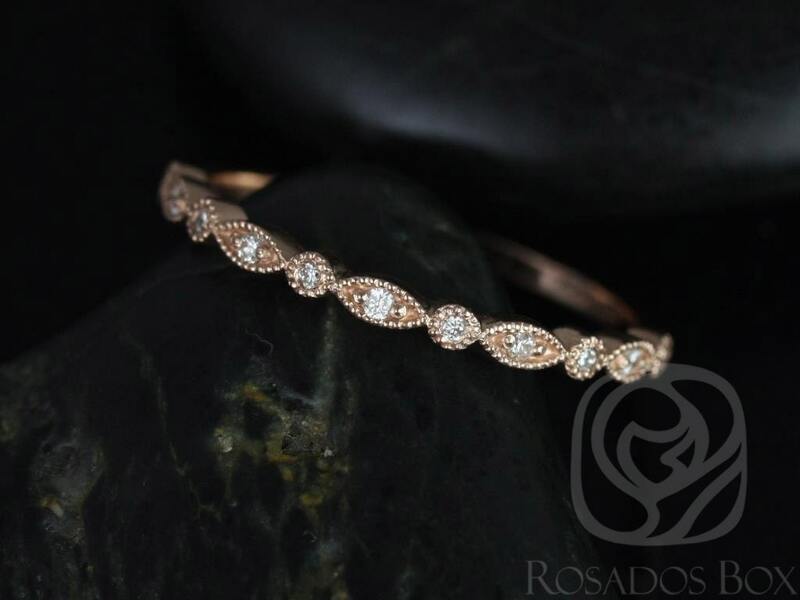 I used Love and Promise Jewelers for my engagement ring (a custom rose gold Darcy ring) so already knew the quality would be amazing for this wedding band and it was! I love how thin the band is! i also love the way it looks with my engagement ring!And it shipped even earlier than expected. I can’t recommend this company enough! I’m in love! I can’t wait until April so I can wear this beauty all of the time. 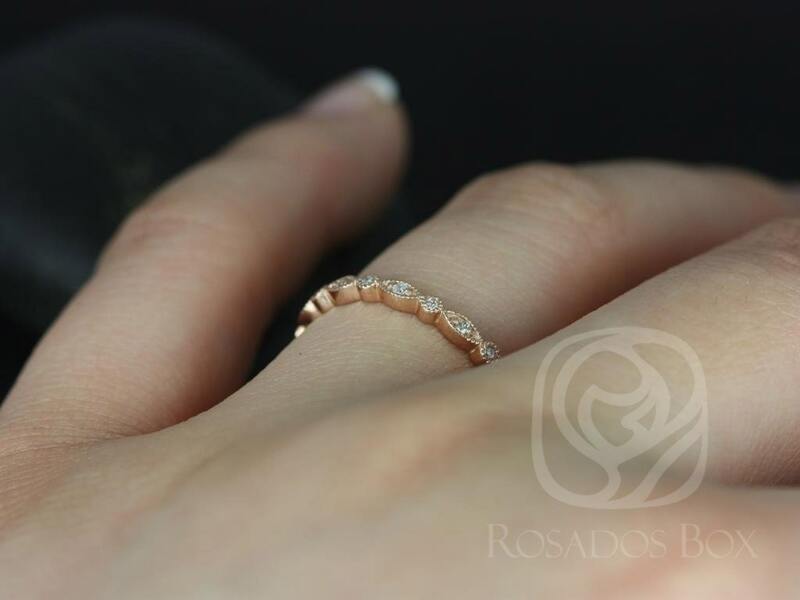 Thanks, Rosado’s Box, for making beautiful & ethical rings to last a lifetime. 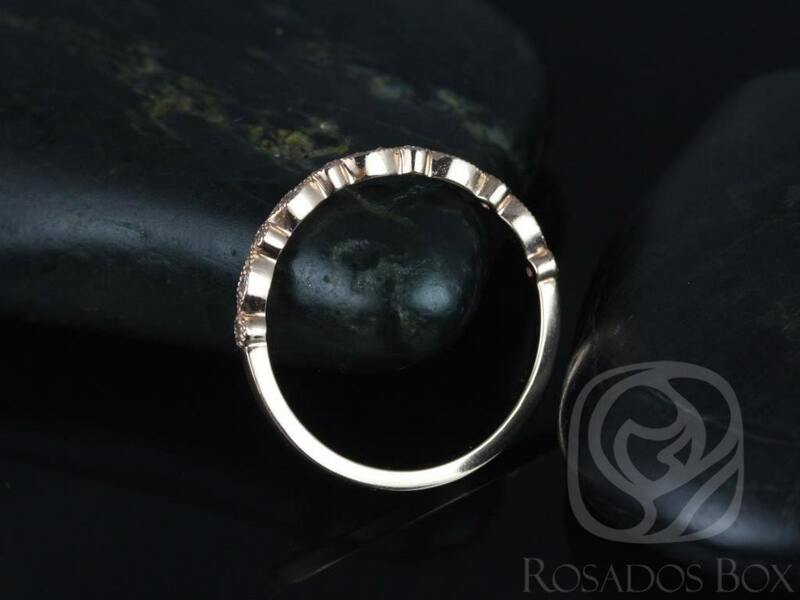 I love my rings! My boyfriend picked the engagement ring and I picked the Gwen Ring as I thought it would go well with it. It's really dainty.